Adjudged the Best Condominium in Asia for Architectural Design at the 2018 Asia Real Estate Summit (ARES), Altair is Sri Lanka’s most distinctive and instantly recognised high-rise. A one-of-its-kind development in South Asia in terms of architectural design, structural engineering, and living experience, Altair comprises of two tower blocks, a 63-storey sloping tower which leans in to a taller, 68-storey vertical tower. 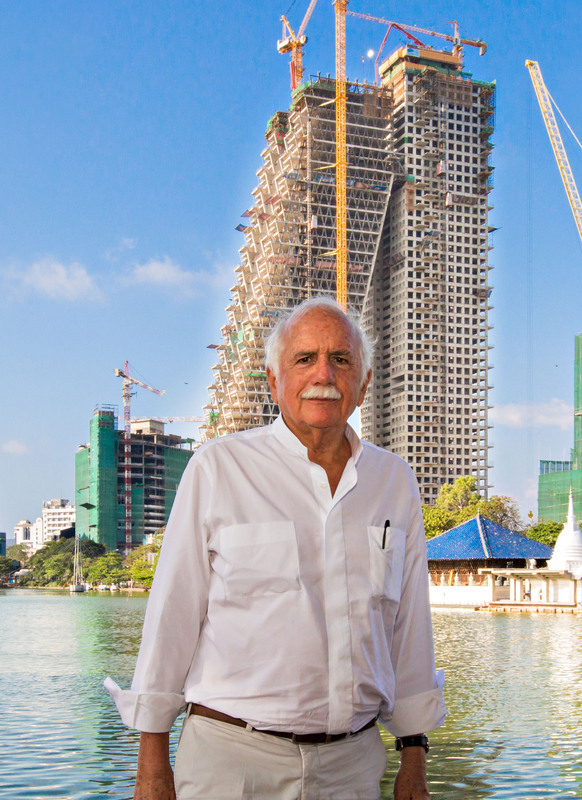 Acknowledged as a new standard in contemporary living in Sri Lanka, the Altair building has already brought a new dimension in aesthetics to Colombo’s skyline and offers its 400 apartments spectacular views of the Beira Lake, the Indian Ocean and the city of Colombo. The development’s 1.5 million square feet of high-end eco-friendly living space is supported by 40,000 square feet of up-market retail space.